TRIBE! 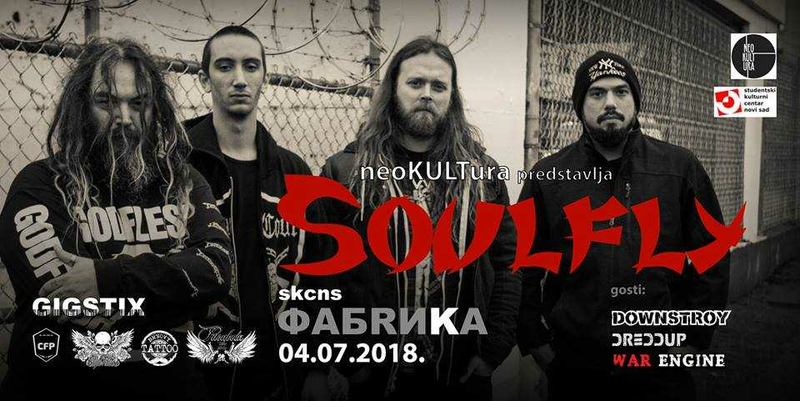 Mighty Max Cavlera and Soulfly are back in Serbia after 3 long years! The band is on their European tour and they will catch Novi Sad with storm on 4th of July! You can read our interviews with Max Cavalera here and here. The concert will be held in club SKCNS Fabrika. Cavalera and the boys will be supported by local bands Downstroy, Dreddup and War Engine. Soulfly is about to record a new studio album which name is still unknown. Max Cavalera described the new material as „tribal death thrash“ that would celebrate the sound of Soulfly’s debut album which was released 20 years ago, in 1998. Tickets for this show can be bought via gigstix for 1200 dinars. Only 500 tickets are available so don't be left out, get yours now! Soulfly’s latest album Archangel was released via Nuclear Blast and reached #130 on the Billboard 200.